Mount Rascal Preserve, Independence Twp. Between 9 and 10 AM. 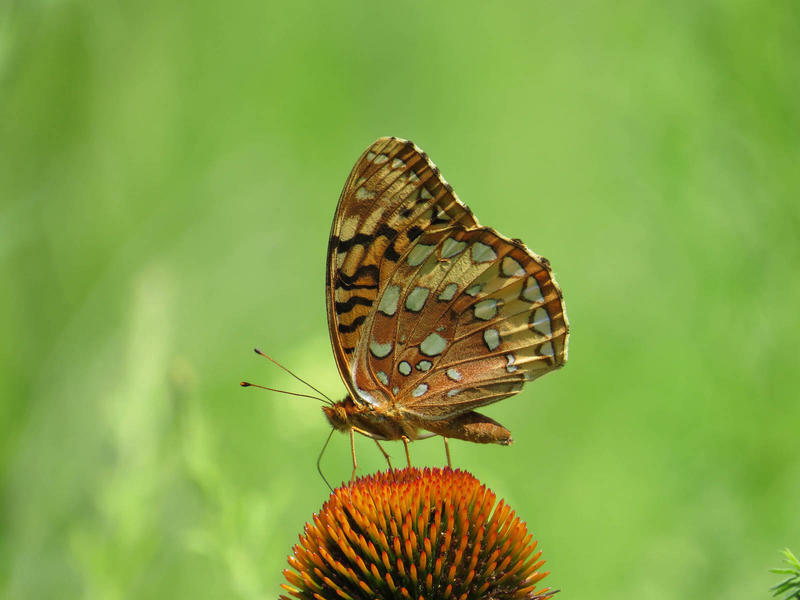 One Red-Spotted Purple was fresh and the other tattered. Seen while gardening on and off from early morning to late afternoon. 1 pair of Cabbage Whites Mating while another ovipositing on Brussels Sprout plants. 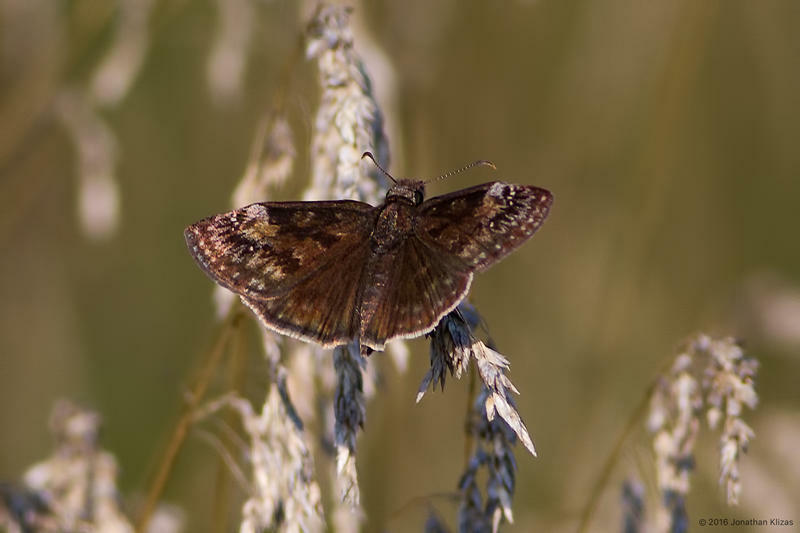 Wild Indigo Duskywing seen flying around the Crown Vetch. It was a good butterfly day. Along with the listed butterflies we saw a skipper (who didn't stay long enough to be identified)..same thing with an orange butterfly that zoomed around,looking like it was on steroids! Wander home garden, Fredon Twp. Juniper Hairstreak the first of this year's second brood in our yard, after not seeing any of the first brood. Observations made while maintaining the garden. Central Park and adjoining fields, Hanover Twp. Mainly a birding exploration; many butterfly species were probably missed. Northeast of the park are a series of disturbed fields with an abandoned factory. 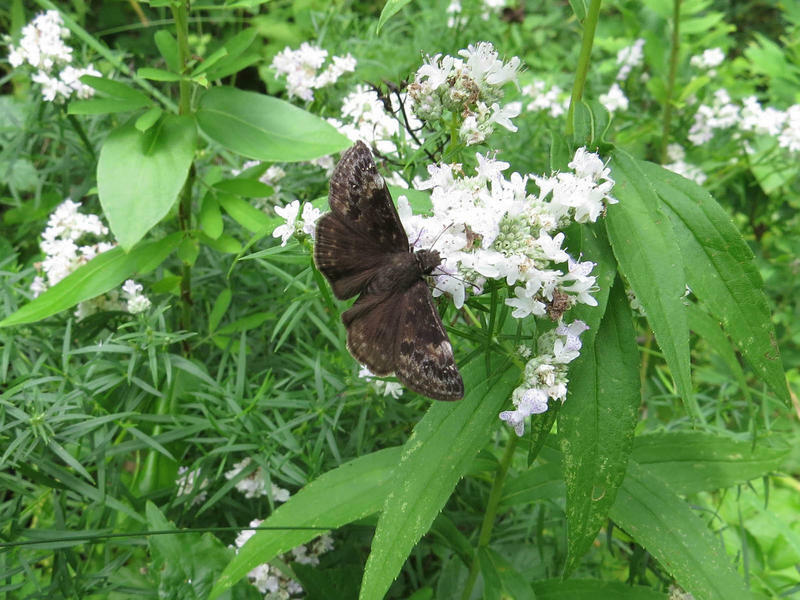 Wild Indigo Duskywing is abundant with 100+ not an exaggeration (although I don't list that many). Two of the E. Tiger Swallowtails are black morph females. 10 AM - 1 PM. 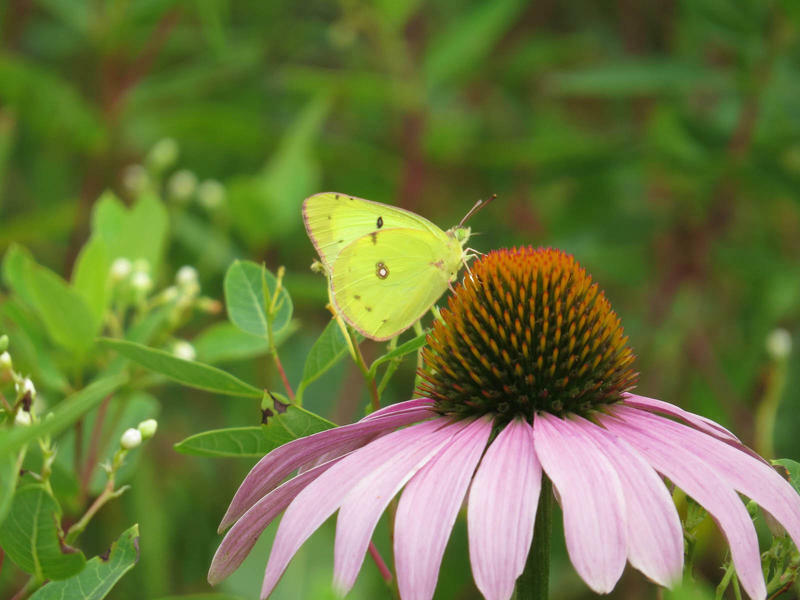 One Tiger Swallowtail was a dark-form female. Observers: Joe Burgiel & Marge Barrett Only 9:30 to 10:15 AM. Day too hot! First Monarch of the year for our garden. Excellent number of Pearl Crescents for this very sparse year. Observed while gardening between 8 am and 11 am. Today's nectar of choice was Wild Basil. Both Wild Indigo Duskywings and Cabbage Whites where nectaring on that this morning. 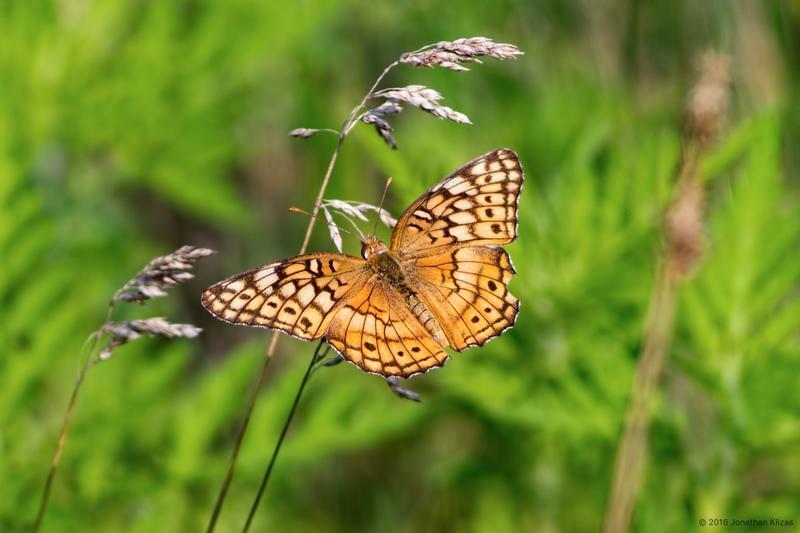 Hardwick Meadows Preserve, Hardwick Twp. 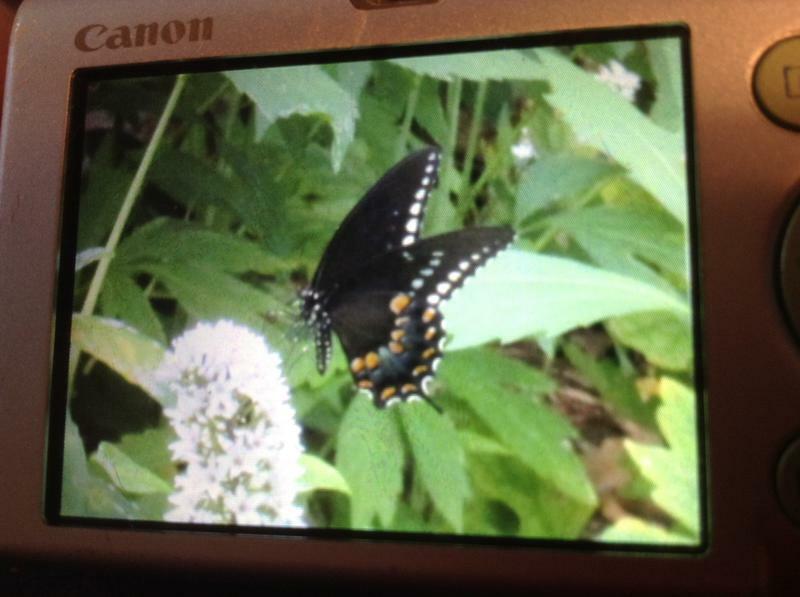 Nice to see some swallowtails–really beautiful on the abundant Wild Bergamot–but still waiting for Pipevine. Metalmarks getting worn; Peck's Sk. fresh out. New brood of Meadow Frit coming on strong–others there at the same time claimed to see twice as many as I did.